Georgetown shopping district along M Street. Visiting Georgetown — Washington, D.C.’s oldest neighborhood — feels like stepping through the pages of a storybook. Leafy vines crawl up historic houses, and cobblestone streets are home to candy-colored coffee shops, art galleries and antique stores. Shaded beneath stately oaks, London planes and old-growth gingkoes, 18th- and 19th-century buildings reveal Georgetown’s patinaed past. And while it’s steeped in history, Georgetown today is home to thriving restaurants, upscale shops and luxury hotels, not to mention a leading university. It’s this dichotomy of old and new that keeps visitors coming back to delve deeper and explore further. Here’s a daylong itinerary for getting the most out of a visit to Georgetown. Wake up at the Hideaway Report-recommended Park Hyatt as the sun rises over the Potomac River. Venture outside and join local Georgetowners for their morning workout. 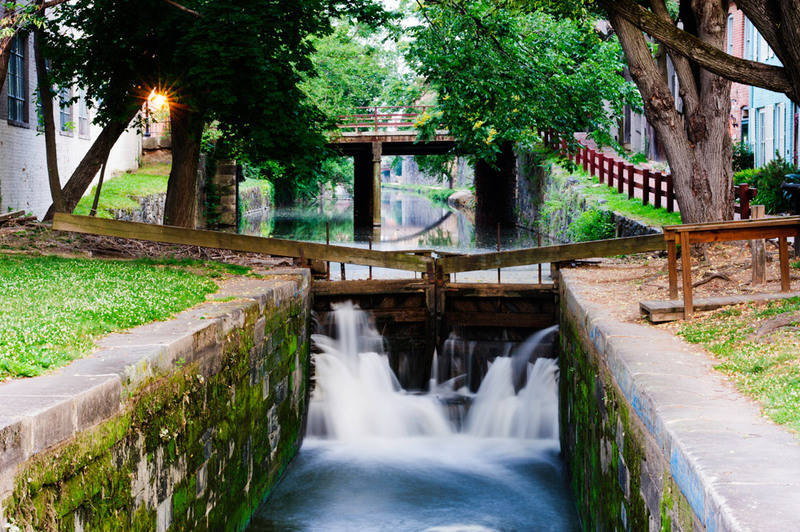 While there is no shortage of activities available (kayaking, canoeing and paddleboard rentals to bike riding), we suggest starting your day by walking along the scenic Chesapeake and Ohio Canal (known as the C&O Canal). Built in the 1820s as a transportation system for shipping goods along the Potomac, this National Historical Park begins in Georgetown and runs 185 miles to Cumberland, Maryland. Today it’s a popular footpath for joggers and cyclers, and a living vestige of Georgetown’s history as a thriving port in the colonial era. 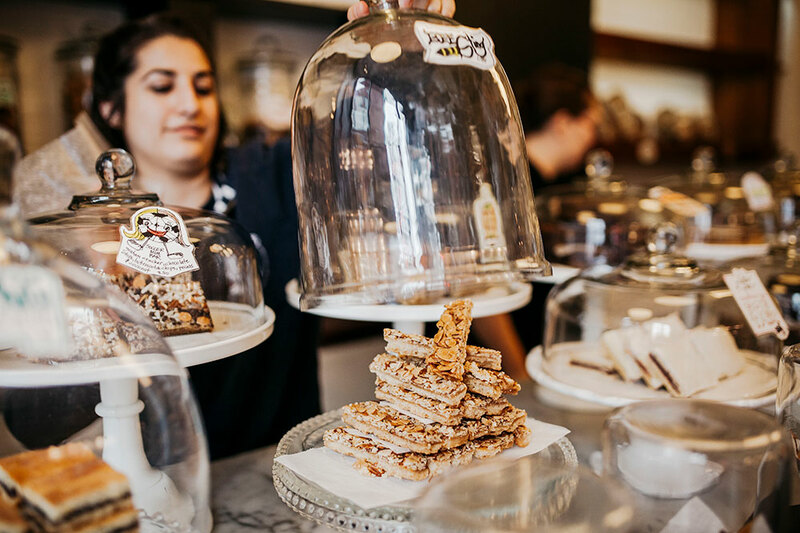 Next, head up Wisconsin Avenue to the French-inspired bakery Patisserie Poupon (1645 Wisconsin Ave. NW) in the Book Hill neighborhood. 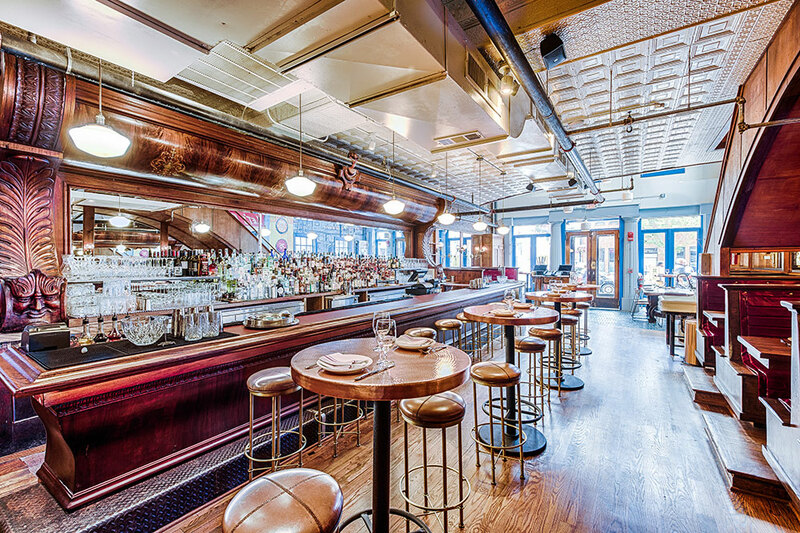 Every morning, this quaint spot is packed with in-the-know locals. Grab a coveted bistro chair or enjoy the courtyard as you sip your café latte or cappuccino. Don’t miss the flaky pan au chocolat or the soft croissants filled with ham and cheese or dusted with sugared almonds. 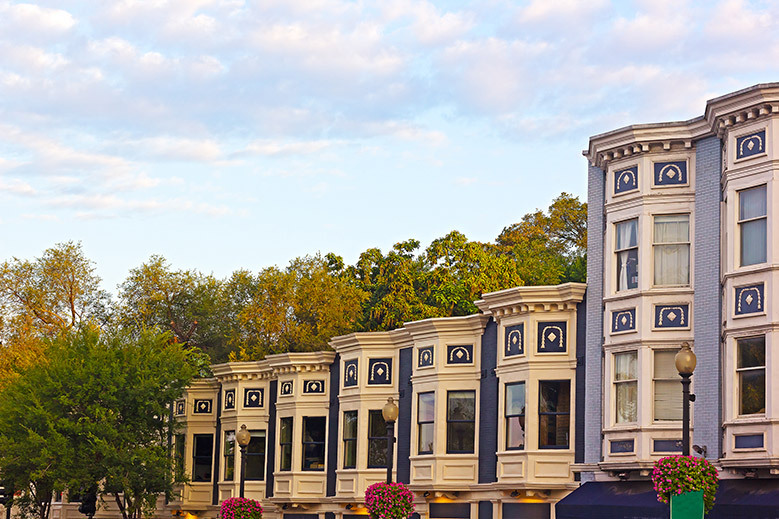 After breakfast, explore the 1500-1600 block of Wisconsin Avenue, a quaint stretch of real estate that is home to a number of charming home goods stores like A Mano (1677 Wisconsin Ave. NW) and contemporary art galleries such as Cross Mackenzie (1675 Wisconsin Ave. NW). Bacchus Wine Cellar (1635 Wisconsin Ave. NW), a boutique wine and spirits shop, is also located here and is a nice place to return to at day’s end. The warm and welcoming owner, Bassam Al-Kahouaji, invites the community in for free tastings and spirited conversations every Friday and Saturday evening. 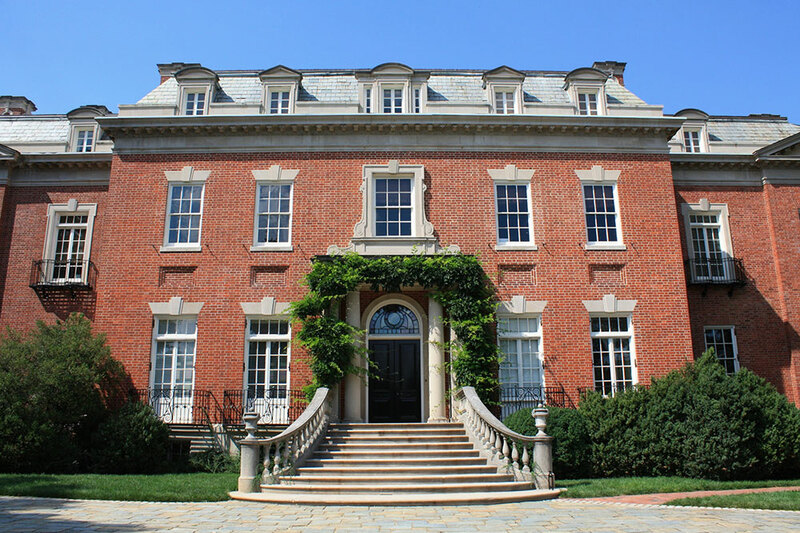 A few blocks north of Book Hill is the Dumbarton Oaks Museum (1703 32nd St. NW), known for its Byzantine and pre-Columbian art along with its beautiful gardens. Stop here or continue on to one of the neighborhood’s historic house museums, including Dumbarton House (2715 Q St. NW) and Tudor Place (1644 31st St. NW). 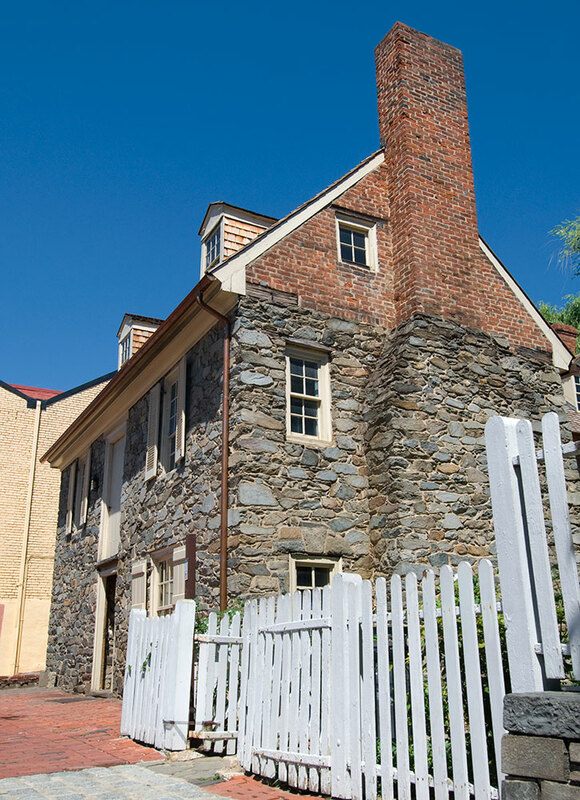 Tudor Place was the home of six generations of Martha Washington’s descendants. 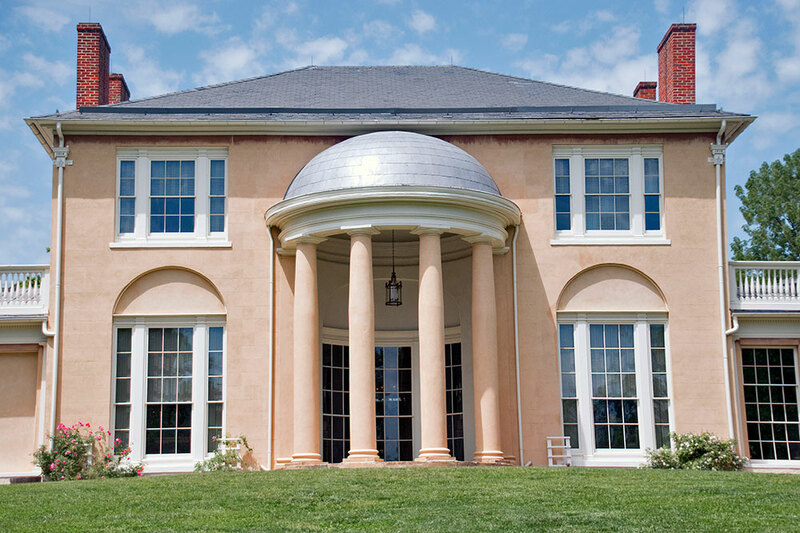 Completed in 1816 and located on 5.5 sprawling acres, the home is open to the public and filled with family heirlooms, like Martha Washington’s punchbowl, and other items previously housed in Mount Vernon. Meanwhile, Dumbarton House dates to 1799 and gives visitors a preview of what life was like in the nation’s capital in the early 1800s. A three-minute walk from here, you will find unexpected riches at Georgetown Emporium (2613 P St. NW), a locally owned hole-in-the-wall filled with one-of-a-kind finds, including antique furniture, original art and estate jewelry. With an active morning behind you, treat yourself to a leisurely lunch. We like Café Milano (3251 NW Prospect St.), a sophisticated Italian restaurant favored by politicians from both parties, and Fiola Mare (3050 K St. NW), one of the hottest restaurants in the nation’s capital. At the latter, you will find fine, sustainably sourced seafood inspired by oceanfront dining on the Mediterranean. The restaurant is situated on the Georgetown waterfront facing Washington Harbour, and patrons enjoy sitting outside when the weather permits. If you can, resist the dessert menu and go instead to Baked + Wired (1052 Thomas Jefferson St. NW), about a four-minute walk away. Far less touristy than Georgetown Cupcake, this is where locals come to indulge in fresh-made sweets and handcrafted espresso. Continue onward one block north and you will have arrived at M Street, Georgetown’s sartorial center. Visit the mix of shops like Ann Mashburn (3251 Prospect St. NW), Billy Reid (3211 M St. NW), Barbour (3221 M St. NW) and Outdoor Voices (3025 M St. NW), to name a few. Nestled among these modern labels and upscale stores is the Old Stone House (3051 M St. NW), Washington’s oldest structure (circa 1766) still on its original foundation. The ground floor is open daily from 11 a.m. to 7 p.m.
After a full day of walking, shopping and sightseeing, grab a glass of wine at ENO in the Four Seasons (2810 Pennsylvania Ave. NW). This chic bar has more than 200 wines by the glass along with local cheeses, cured meats and chocolates from the region. Deciding where to eat dinner might be the hardest decision you make all day. 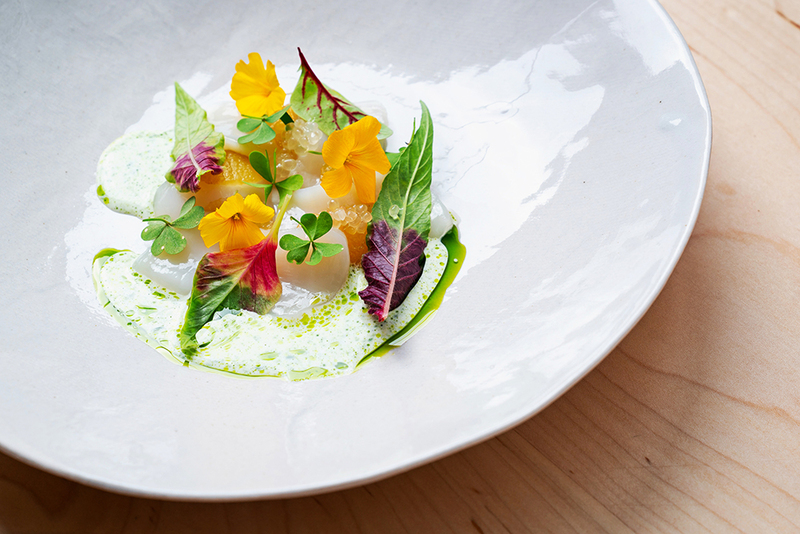 A score of new neighborhood hot spots are reaping gastronomic acclaim. 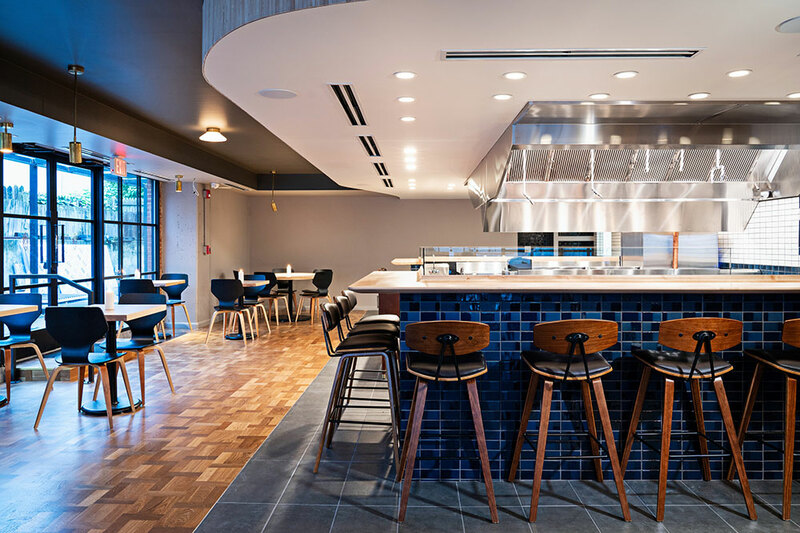 Celebrity chef, Jose Andres, elevates barbecue and other American classics at the newly opened American Eats Tavern (3139 M St. NW), while at Reverie (3201 Cherry Hill Lane NW), chef Johnny Spero serves modern cuisine inspired by his global résumé (he’s logged time at Copenhagen’s Noma, for example). 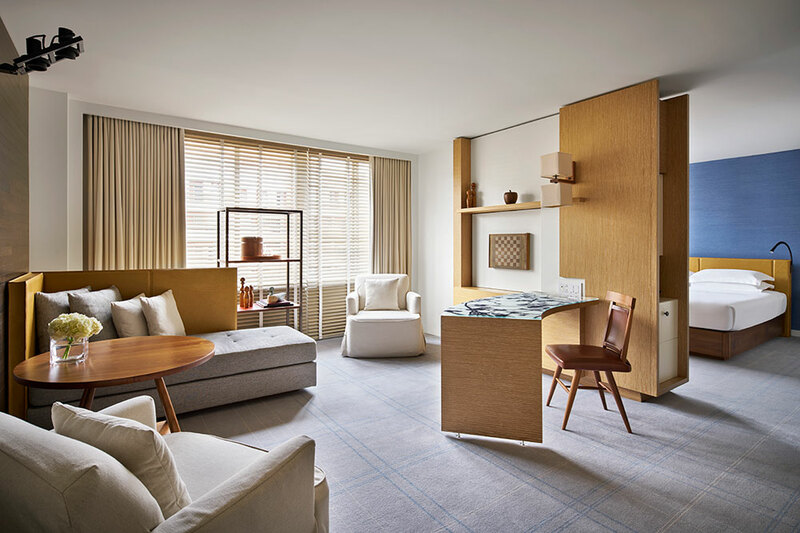 The Rosewood Hotel’s highly anticipated restaurant, CUT by Wolfgang Puck (1050 31st St. NW), opens, along with the hotel itself, in spring of 2019. Until then, dine at 1789 (1226 36th St. NW), a neighborhood classic located in an 18th-century Federal townhouse. Inside, wood-paneled, gas-lit dining rooms are handsomely set with Limoges china and fine silver. Request a table downstairs and enjoy the evolving menu, which changes seasonally. In 2018, the restaurant introduced an upscale bar and lounge after a 19-month renovation. Should a nightcap call, head to Martin’s Tavern (1264 Wisconsin Ave. NW), Washington’s oldest family-owned restaurant. Open since 1933, locals and visitors alike continue to dine and drink at this institution, often staying late into the night. Many a president, from Harry S. Truman to George W. Bush, has come here, and the wooden booths are named for these stately visitors. Additionally, it is here — in the aptly named Proposal Booth — where John F. Kennedy asked Jacqueline Bouvier to marry him in 1953. As you head back to your hotel for the evening, take in the long, layered history of the neighborhood and say goodnight to a perfect day in Georgetown. By Sallie Lewis Longoria Hideaway Report Contributor Sallie Lewis Longoria is a Texas-based writer and holds a Master's Degree in writing from Johns Hopkins University. 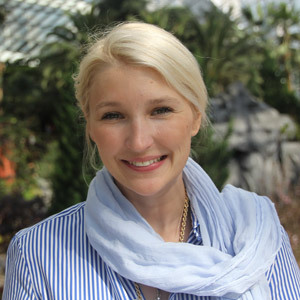 She has traveled to more than 30 countries and is currently at work on her first novel.